Microcosmic Orbit Meditation is a form of Taoist meditation devoted to channelling the energies of the Universe through the human form via series of natural vital energy centres. The meditation aims to directly tap into the energies of the celestial bodies – the Sun Moon, Earth, and so on as well as harnessing the energies of the elemental forces, such as wind, rain etcetera. It is central to Taoist belief that we are tapped into the natural cycle of these bodies and forces from the moment we are conceived, but that we lose aware ness of our connectedness to them over time. It is the purpose of the Microcosmic Orbit Meditation to reawaken this awareness and heal the 'lost' individual. 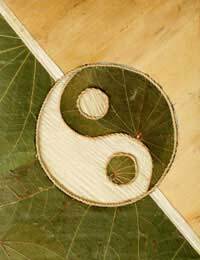 Taoist’s believe that we have two central energy channels running down the course of our spines, one representing ‘Ying’, and the other representing ‘Yang’. By opening up points along these channels (similar to the Hindu ‘Chakra’ points) it is possible to re-attune the individual with the natural cycle of the Universe. There is evidence that Taoist meditation can have a positive effect on ones health in as much as meditation in general can, however, the wider beliefs sustained by Taoists meet with objection from some Western scientists. Nonetheless, it can be argued that Taoism points to our connectedness to the wider Universe and to matter outside ourselves to an extent that Western scientists were unaware of until the advent of Quantum physics. Further, whilst Taoism does not require a belief in a God or any deities it may make a good alternative to organised religion for the spiritually motivated Westerner. It is for this reason, perhaps that Taoist meditation techniques have become popular with New Age Spiritual practitioners. The Microcosmic Orbit Meditation technique is complex and involves activating specific energy points (or Chakras as they are most commonly referred to, deriving, as they do, from similar Yogic practices) in a specific order. It is debatable whether to approach the exercise in any other order would be ineffective, or even harmful. However, Taoists support the flow of energy from their Crown to a final resting point in their navel, unlike ‘Hatha’ Yogis who concentrate their energy flow in the opposite direction. Taoists believe that resting the energy in the navel keeps one grounded. The inference being that if you weren’t to channel the energy in the right direction you find yourselves ‘not grounded’. Plenty of evidence exists to support the notion that Chakra style meditations performed without correct guidance can be spiritually or psychologically dangerous. At the least, in order to maintain maximum benefit from your practice it may make sense to seek help in the initial stages of pursuing a spiritual discipline: There simply would be no point pursuing the discipline if you were to go about it in the wrong way! Taking this into account it can be said that Microcosmic Orbit Meditation along with other esoteric practices such as Hatha and ‘Kundalini’ Yoga is a powerful and valid path for spiritual investigation, though it is a path best suited to those with a genuine commitment to self improvement and increased awareness. For those who simply wish to relax a simple breathing or mantra exercise should probably suffice!